Beijing is a bustling city teeming with people and sounds. 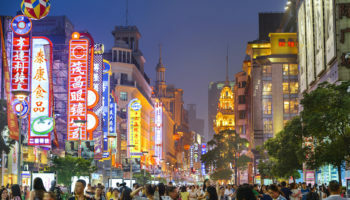 The Chinese capital is a fascinating city that is quickly modernizing but keeping some aspects of its glorious past. 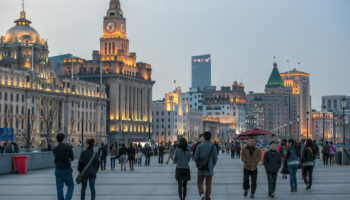 It is a good city to explore on foot, tucking into hutongs, enjoying delicacies at a night food market or visiting some of the top tourist attractions in Beijing. Gulou and Zhonglou, known as the Drum and Bell Towers in English, used to be Beijing’s official timekeepers during the Yuan and Ming dynasties. Today, they are tourist attractions that provide insight into traditional Chinese architecture. Gulou, the Drum Tower, standing at the intersection of Gulou and Di’anmen streets, was constructed in 1272 by Kublai Khan. Visitors who are able to climb the steep stairs will be rewarded with great views of Beijing. Zhonglou, the Bell Tower, is located a short walk behind the Drum Tower. 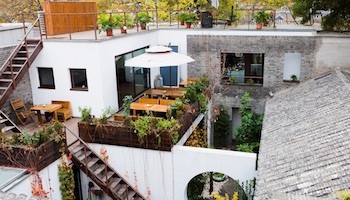 Both are located in one of Beijing’s few remaining hutong areas. Even people who don’t like art will come away with an appreciation for the topic after a visit to the 798 Art District, Beijing’s avant garde art district. Located in what once was an old electrical power plant, the 798 Art District is a beehive of artistic activity. 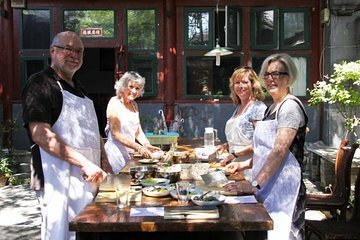 Visitors can see artists at work in their studios, purchase art and art-related souvenirs, relax their tired feet at a sidewalk café, and admire the hundreds of statues that can be found outdoors on any street. 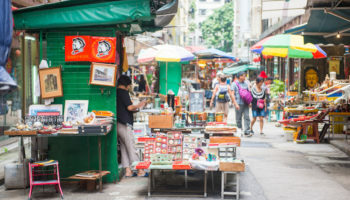 To fully appreciate the 798 Art District, visitors might want to spend at least a whole day here as there is too much to see in just a few hours. Nanluoguxiang is Beijing’s yuppie street. The nightlife in its trendy restaurants and bars draw young people like a magnet; sometimes the activity spills into the narrow street. It’s quieter during the day as shoppers seek out the latest fashions in its boutiques. 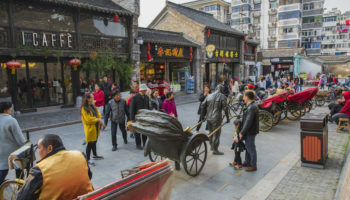 Located just off Guloudongdajie (East Gulou Street), Nanluoguxiang is a short walk from the Drum Tower, making it a perfect place to explore the hutongs, as the narrow lanes lined with traditional housing are known. The Gulou area is one of the few areas left in Beijing that still has hutongs, though many of these quadrangle homes with red door are being modernized, too. The Yonghe Lama Temple (Palace of Peace and Harmony), located in the northeastern part of Beijing, is one of the largest Tibetan Buddhist monasteries in the world. 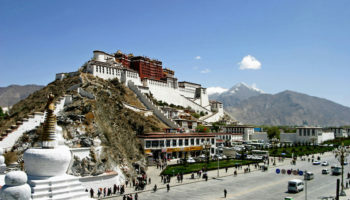 The temple was built by Chinese emperors who harbored a deep fascination for the Tibetan version of Buddhism. Over the years, many Tibetan and Mongolian monks lived and taught here, and there are still monks in residence today. 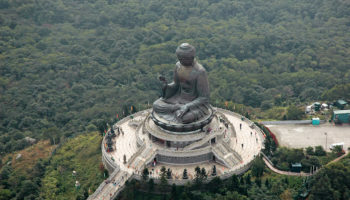 The temple contains a 26 meter (85 foot) tall statue of Maitreya Buddha carved from a single piece of white sandalwood. Beihai Park, in central Beijing, is a delight to visit any time of the year. As Beijing’s most popular park, people ice skate on the lake in winter and stroll around it in the spring when the trees are in blossom. Its Tibetan-style White Dagoba Temple on Qionghua Island is a landmark in Beijing. Because it’s so close to the Forbidden City, the park was once a royal playground. 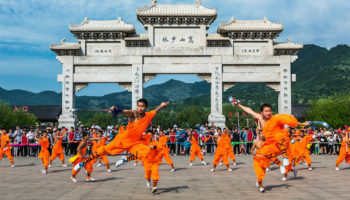 Weekend mornings are a good time to visit, as the Chinese turn out to dance, sing karaoke or Peking opera, play badminton or perform in string quartets. It is a veritable smorgasbord of entertainment. Surrounded by Soviet-style monuments and government buildings, Tiananmen Square is the largest city square in the world. It remains an astounding place and a spot to linger and see visitors from all over China, many visiting their capital for the first time. There is a flag raising and lowering ceremony at dawn and dusk at the north end of the square. There are 4 marble lions in front of the Tiananmen gate, the northwest one has a bullet hole on its stomach from the 1989 Tiananmen Square massacre. The Summer Palace is located 15 kilometers (9.3 miles) from central Beijing and is mainly dominated by the Longevity Hill and the Kunming Lake. As its name implies, the Summer Palace was used as a summer residence by China’s imperial rulers – as a retreat from the Forbidden City. The gardens were substantially extended in 1750, reproducing the styles of various palaces and gardens from around China. Kunming Lake was extended to imitate the West Lake in HangZhou. The Temple of Heaven is regarded as a Taoist Temple although Chinese Heaven worship pre-dates Taoism. The temple was constructed from 1406 to 1420 during the reign of the Yongle Emperor, who was also responsible for the construction of the Forbidden City in Beijing. Not only a beautiful sight, the temple is also surrounded by a vast public park popular with local residents practicing tai chi in the mornings and on weekends. 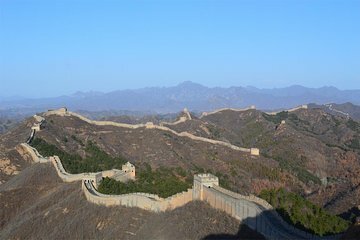 Badaling is the easiest site to access the Great Wall from Beijing, making it one of the most crowded. (Hint: To avoid crowds, go on a midweek afternoon or turn left at the main gate.) Reachable by public bus from Deshengmen on Beijing’s Second Ring Road, Badaling is the place where the Chinese government takes its official visitors. The views of the Great Wall – the world’s longest outdoor museum – snaking through the mountains are awesome. 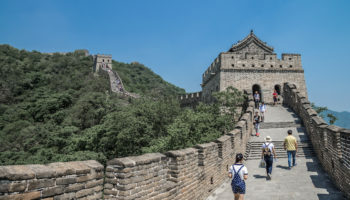 Badaling, which has wheelchair access to some sections, also is home to the fabulous Great Wall Museum, with its dioramas of building and defending the wall. The Forbidden City is one of the world’s great palaces, ranking right up there with the Kremlin, Buckingham Palace and Versailles. It is unarguably the most popular tourist attraction in Beijing, with the crowds to prove it. It was the seat of the Chinese government for many centuries, and thus was off limits to commoners. Today it is open to anyone who wants to learn more about the Middle Kingdom’s heritage. There really is no way to avoid crowds here, but visitors might want to check out the halls on each side to learn more about the country. Most people walk right up the middle to see the big halls and ignore the treasures off to the side. Ahhh great list, but Badaling? It’s such a shame that people go there. So overly restored and touristy. You guys should check out some of the unrestored wall where you can camp overnight.